When you think of the roof, you probably think about the roofing shingles that cover the top of your house. While the roofing shingles are a big part of your roof, there are many other parts that make up the entire roofing system. Knowing each part of the roofing system will help you understand how the roof is supposed to work and what parts need the most maintenance. Decking/Sheathing – The structure of the roof itself is called the decking of the roof. This gives the roof its shape and support. Laid on top of the roof deck is the sheathing. This is the plywood that lays flat onto the structure where you will nail in place all of the other roofing materials. Underlayment – Once the sheathing has been nailed into place, it must be covered in an underlayment material. This black paper (usually a felt material) helps protect the wood it sits atop of from any rain or moisture that might squeeze passed the shingles. Flashing – Like any structure, there are going to be areas of the roof that are “weaker” than others. In the case of a roof, there are areas that aren’t protected from precipitation as well as others. These areas include: hips, valleys, around chimneys, etc. To ensure water doesn’t penetrate these exposed areas, a metal sheet known as flashing is installed underneath the shingles. This will divert rainwater away from the exposed areas toward the gutter system. Shingles – Now comes the most known piece of the roofing system — the shingles. The shingles are what give the roof its unique look, as well as helping protect the structure from the elements of Mother Nature. Shingles can be made from a variety of materials, including: asphalt, cedar, slate, aluminum, etc. Fascias & Soffits – Roofs extend outward from the side of the house, leaving a few feet of additional roof. The face of the edge of the roof is known as the fascia. The underneath of the edge of the roof is known as the soffit. Roof Vents – Every properly installed roof should have an attic space with the proper ventilation. This will protect the attic space from enduring extreme temperatures by ventilating the air out of specifically designed roof vents. Without the right number of roof vents, the underneath of the roof that lives in the attic can become damaged. Gutter System – Yes, the gutters hanging on the edge of your roof are a part of the overall roofing system. They have the important job of channeling rainwater away from your roof to help prevent leaks. The gutter system is made up of the gutters, downspouts, elbows, gutter extension, splash block, etc. 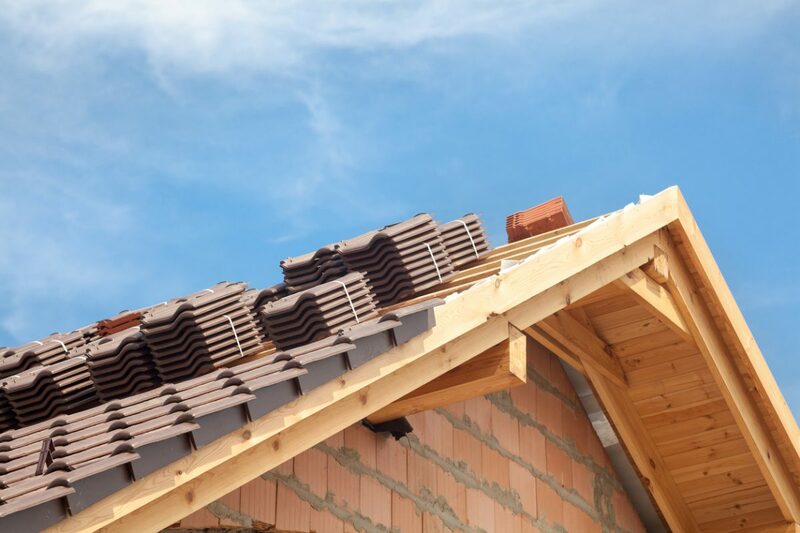 Knowing what each part of your roofing system is and does is something every homeowner should know. If any part of your roof is damaged and needs repair, or is missing and needs replacement, know that Landmark Exteriors is only a small call away! Previous Previous post: What to Do if the House You Want to Buy Has a Bad Roof? Next Next post: Why Does Old Wood Turn Gray?